The Aero 30 was the most successful model. The car was available in different body designs, namely as a convertible, as a roadster and as a limousine. In all cases, the Aero offered room for four people. With its cut-out doors it looked very sporty, in particular, the roadster version. 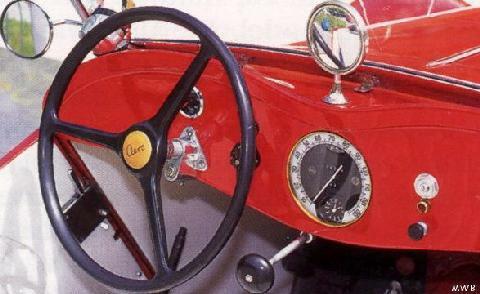 The chassis of the Aero 30 was made up of square pipes. The bottom of the car was completely smooth and axle half shafts were placed at the front and rear. The cast iron motor block had an aluminium cylinder head, which improved the cooling. An interesting detail was the use of the connecting rod bearings with pins, a principle that was only ever used in super sports cars.